"the immigration was fully manned"
✅ Trip Verified | Arrived on a British Airways flight flying Club World so one of the first passengers off the plane and managed to be the first at immigration. I had an Esta and was expecting to use a machine. But arriving at the E terminal, the immigration was fully manned. The agent was very quick, took my photo, surprised there was no finger printing and no stamp on my passport and didn’t want my customs form. As I left the terminal no one wanted to collect my customs form, seems the process has changed. Anyway I was from plane door to kerb in 20 minutes. I was only in Miami overnight before connecting to Sint Maarten. Used AA priority check in and there was a short queue. Took the agent a while to check me in (I was wondering if there were problems with my paperwork and was suspecting the immigration agent screwed up the previous evening). Eventually she checked me in she all documents were fine. I used the business class security line at the D gates and was through security in 15 minutes. I wanted to use the AA Flagship lounge at gate D30 (Lounge was excellent). I needed plenty of time to walk to my flight at gate D3. But it was a pleasant 10 minute hike. Gate area was a mess. Although I was in group 1 boarding it was hogged up by people from groups 2 and 3. But gate agents were great at policing the boarding process. I agree the prices at MIA are outrages. $3.50 for a bottle of water! 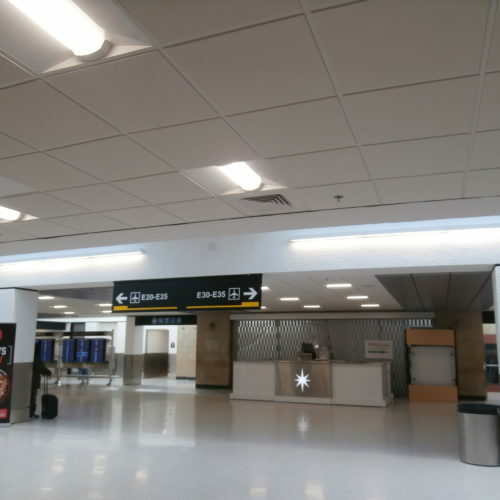 "staff is helpful and kind"
✅ Trip Verified | Very large airport but, simple and logical. You can use the airport train within your way to the gate. Crowded but fast secuity check. Clean restrooms. Free Metromover to Car Rental Centrum. The staff is helpful and kind. "MIA is a complete rip-off"
Not Verified | All the restaurants nd bars that I've been to have been a rip off! Lousy food, nobody there cares the least about quality, and they charge huge prices. $17 for a lousy burger at Spring Chicken, 10 oz tap beer is $9.50, Islander Bar & Grill near D8 shows certain prices out front only to find that for a margarita you order house version they charge for Patron Silver, they charge separately for mix and tequila so it gets to $16. Two very lousy margaritas and one Heineken $48! 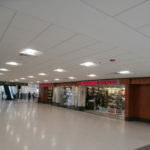 When you inquire about that they just say, "Hey, its in the airport! What do you expect?" MIA is a complete rip-off! Spent over $100 for a lousy small fast food meal and a couple drinks and all I got in addition was a very bad attitude! I can get a bad attitude for free most places. ✅ Trip Verified | Layout is horrible. 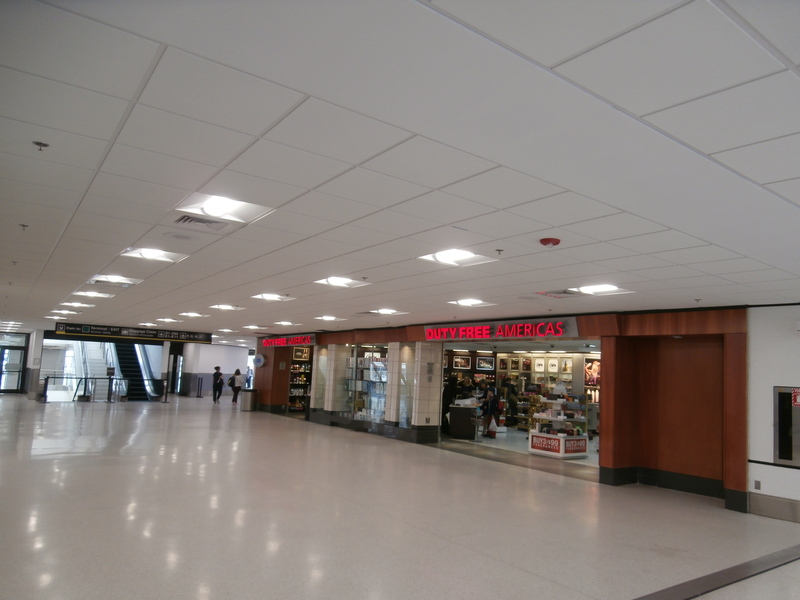 Security lines are disorganized and are very far away from departure gates. Skytrain is a good idea but signs aren't clear how frequently they run. Staff are very nice but I feel like I'm being made to traverse the entire length of the airport whenever I'm here. Will use FLL instead given the opportunity. 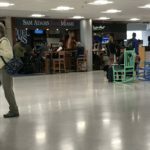 Not Verified | Miami airport continues to compare with a third world facility. Dirty, disorganized, poor service (to put it mildly). Shops all sell the same useless wares, and automated distributors out of order. Sad place. 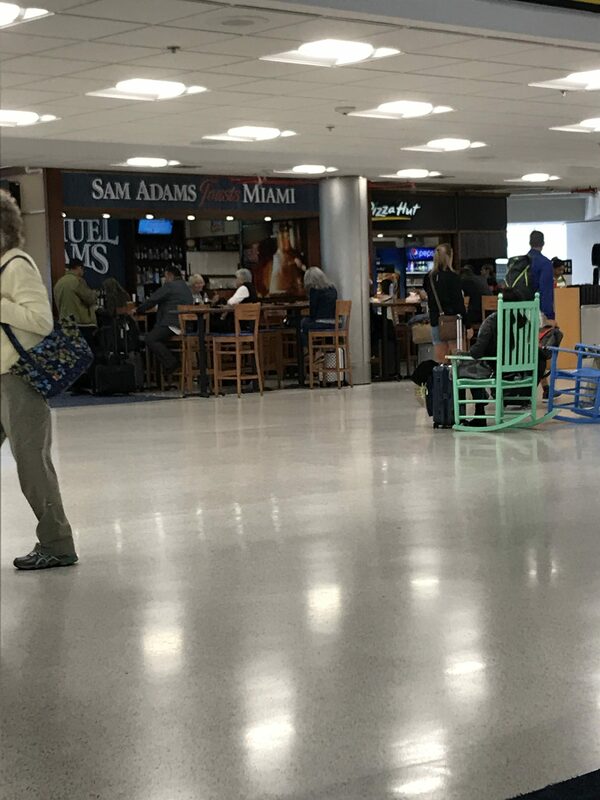 "disgusted at the level of service"
Not Verified | I am disappointed and disgusted at the level of service at the Miami Airport. We arrived from Costa Rica a family of four, which we had booked our reservations as a family. We were told to stay together through the screening, through customs all the way, which we did. 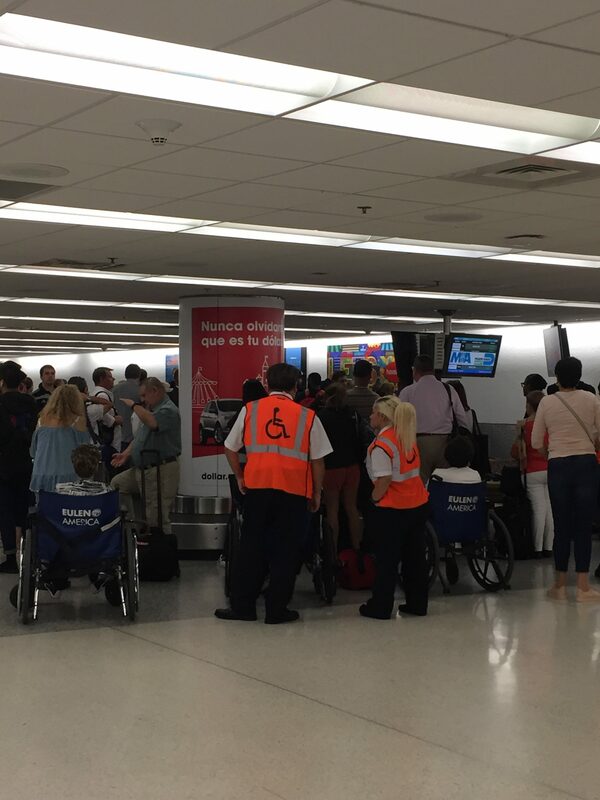 However, the chaos began as soon as we arrived at the Miami airport. My ticket was pre-check as we thought all four would be since they were all booked under my name as the lead person. We were instructed to go to the two different check-points. After being turned around twice, I informed the young lady that we had gone through this twice. If we had to come back, a manager is going to have to get involved. She instructed us to go back to checkpoint three because” the staff member there was new and didn’t know what she was telling us.” We went back, and sure enough, the staff member began to tell us to separate again. I told her what the previous employer had said to us, she pulled up our ticket on her phone and told us to go ahead. I couldn’t believe the level disconnect of communication here in the United States; there is a lot to be learned from Liberia Airport. Courtesy and politeness from the employees for starters. We finally arrived at our gate for departure. As we sat there trying to listen for the changes of gates. The intercom system is not the best; one could barely hear the changes. We saw so many travelers missing their flight and upset, as they should have been. The announcement should have been clear, and anyone on that flight name should have been called before that plane departed. I felt bad for those that were unable to hear the message in the mist of all the chaos. I’m sure that with all the upgrades in technology the intercom system can be much better, employee interaction should be superior. Staff should act as if they want to assist you and not as if they owe you something, remember we are “paying” travelers whether by awards or by credit cards we have paid for service and should be treated with politeness, respect, and clear communication. Not Verified | Twice disappointed with the service at the transportation center. I understand that the staff may want to be friendly but they appear to be selectively friendly. I was trying to make a train; the person at the kiosk was having a leisurely chat and had no time to help me with my questions. He misinformed me, pointing me to the ticket machine and stating that I first had to purchase a ticked on the level where he was. Even after I had the ticket he still was talking and giving his opinions on some subject and did not stop talking to assist. The area was not crowded, but I had to figure things out myself. When I got down to the tracks there were ticket machines I could have bought a ticket. But by the time I had traipsed my luggage down the stairs (no mention or direction regarding an elevator) the train had departed. It being a Sunday afternoon I had to wait another hour. A week earlier, I had to wait for more than 5 minutes while the kiosk person spoke to another traveler about where he grew up and the schools he went to. Like I say, friendly—I get it—but isn’t the job one of helping travelers get from one place to another? 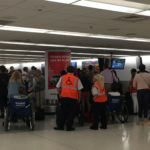 "they must pay $5 USD"
Not Verified | It is sad to see that for arriving International passengers they must pay $5 USD if they need an airport baggage cart. That's quite expensive and foreigners may not have American money to pay besides being alot of money for a cart. International arriving passengers may have alot of luggage they need to claim and transfer after a long flight. I have not seen having to pay for a luggage cart in most International destinations. It's a sad comment to welcome them to the land of the free and the home of the brave. ✅ Trip Verified | The sky train is an awesome idea but how difficult is it to put a sign in front of the gates “closest sky train at gate xxxx”. You land and you don’t know if one is right around a corner or the other way. Again great concept, horrible execution when a simple directional sign could fix it. ✅ Trip Verified | Flew into MIA on September 26 from Madrid and out on October 2, going back, both legs on Iberia. 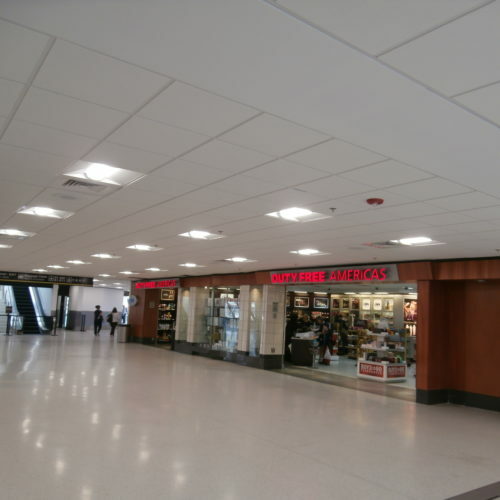 Despite of what is being said compared to other airports, Miami worked quite all right for us. On arrival there were some works and had to walk longer than necessary, but went through immigration and an acceptable speed. All staff were polite. At arrivals got the chance to buy a US sim card. Waiting for hotel shuttle was tiring after a long flight, as there was not enough seating there. Also, TSA at MIA is much faster than at Orlando airport. Most importantly, arriving from Orlando on American Airlines and having to pick up luggage, as we didn't have a through ticket, and having to check in for Iberia was not bad! We just had to walk straight on from the AA part of the airport to that of Iberia. No need for elevators, or shuttles! Spanish-speaking staff are polite and courteous and do make an effort to help out. Overall, we have a positive impression of Miami!